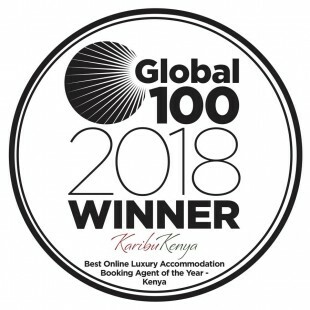 Karibu Kenya is a collaboration pairing the renowned content of Karibu Kenya Accommodation Guide with the experience and capability of Gamewatchers Safaris, a Kenya-based accredited tour operator. Let our combined expertise help you design your ideal Kenyan holiday and create for you the experience of a lifetime. Karibu Kenya Accommodation Guide has detailed information on places to stay all over Kenya, from the budget to the boutique. The selected bandas, houses, resorts, lodges and safari camps were handpicked by Tamara Britten, who spent two years driving around the country seeking out luxurious, remote, historical and downright quirky places to stay. The guidebook is endorsed by the Kenya Tourism Board, the Kenya Tourism Federation and the Kenya Professional Safari Guide Association. Gamewatchers Safaris, under the attentive management of Jake Grieves-Cook, has around 30 years’ experience of providing specialised and personally designed holidays to Kenyans and visitors alike. 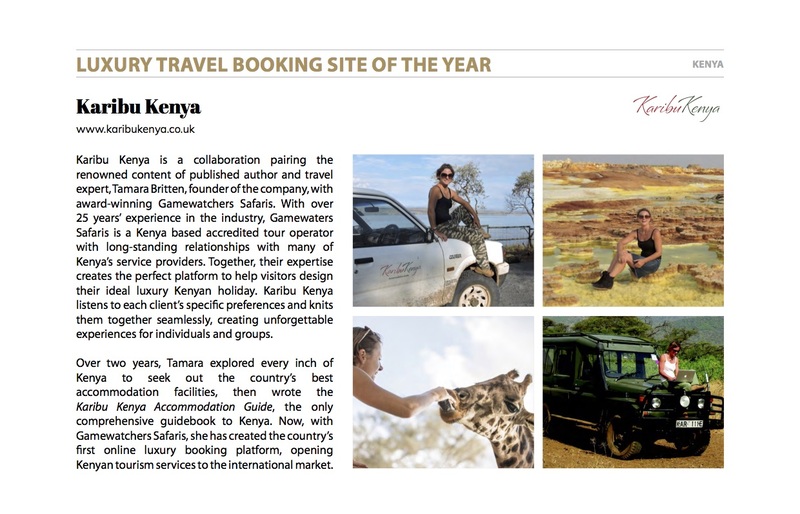 Recognised as Kenya’s Tour Operator of the Year in the 2013 Ecotourism Awards, and named Kenya’s Leading Tented Safari Camp in the 2013 and 2014 World Travel Awards, Gamewatchers Safaris is one of Kenya’s leading safari operators. Browse through our accommodation suggestions, then compile your shortlist and send it to us. 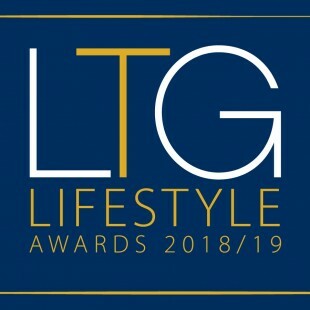 One of our knowledgeable travel consultants will respond to you personally, discuss your accommodation preferences with you, give you their current rates and availability and inform you about the relevant flights, transfers and activities. We will then help you design your holiday and book the entire package for you. Gamewatchers Safaris has a distinguished record of providing customised tours and safaris across Kenya. We can arrange every flight, airport transfer and hotel booking from your arrival in Kenya to your departure, or we can simply plan a safari or expedition for you during your stay. Our experienced safari guides, who are accredited by the Kenya Professional Safari Guide Association, can help you experience Kenya’s magic like no one else. 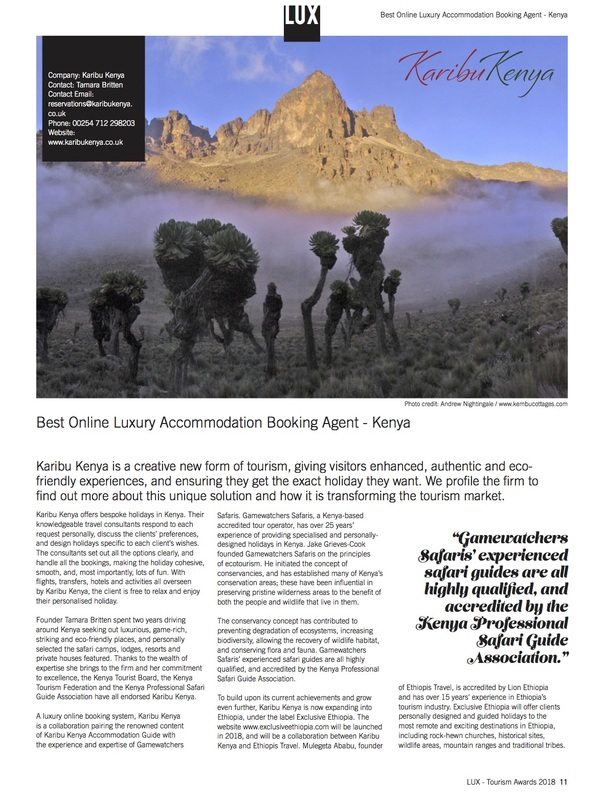 Karibu Kenya Accommodation Guide contains comprehensive information about over 850 accommodation facilities of all budgets in all regions of Kenya. Gamewatchers Safaris has over 25 years’ experience of booking holidays in Kenya. Together, Karibu Kenya Accommodation Guide and Gamewatchers Safaris can organise accommodation of any budget, anywhere in Kenya. Whether you want to book a safari for a family of four, a beach holiday with a group of friends, or a conference with 60 participants, we can help you find the most affordable options in the most exciting locations. Flights are a core part of our business and we have strong relationships with all the domestic carriers. Whether you need a single domestic flight or a series of flights, transfers and connections around the region, we can make it happen. When you have sent us your shortlist of accommodation facilities, we will reply to you with information about the current rates and availability of the accommodation, and details of all relevant flights and transfers. After consultation with you, we will put your holiday together seamlessly, and present it to you in one easy-to-understand quote. Gamewatchers Safaris is based on the principles of ecotourism. Managing Director Jake Grieves-Cook, a Kenyan citizen, has spent the better park of his long career in Africa working with local communities and supporting the drive to conserve Kenya’s ecosystem and wildlife. He initiated the concept of conservancies, which has substantially extended the wildlife areas of Kenya to the benefit of both the wildlife and the local communities. ​Karibu Kenya offers bespoke holidays in Kenya. Their knowledgeable travel consultants respond to each request personally, discuss the clients’ preferences, and design holidays specific to each client’s wishes. The consultants set out all the options clearly, and handle all the bookings, making the holiday cohesive, smooth, and, most importantly, lots of fun. With flights, transfers, hotels and activities all overseen by Karibu Kenya, the client is free to relax and enjoy their personalised holiday. Gamewatchers Safaris’ experienced safari guides are all highly qualified, and accredited by the Kenya Professional Safari Guide Association. 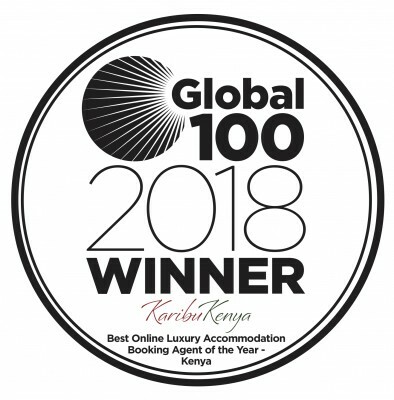 Global 100 names Karibu Kenya as 2018 Best Online Luxury Accommodation Booking Agent of the Year for Kenya. 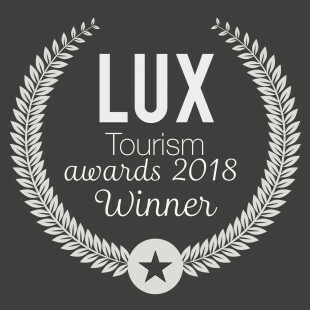 Karibu Kenya has been announced as the Luxury Travel Booking Site of the Year - Africa. 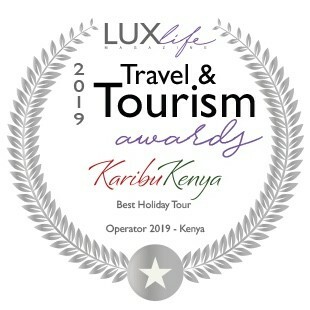 ​Karibu Kenya has been selected as the Best Holiday Tour Operator for 2019, continuing on from last year’s selection as Kenya’s Best Online Luxury Accommodation Booking Agent.